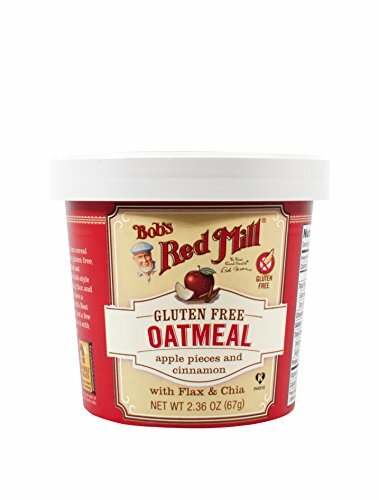 Bob’s red mill gluten free blueberry and hazelnut oatmeal cups are the perfect solution for quick and easy but delicious breakfast on the go. 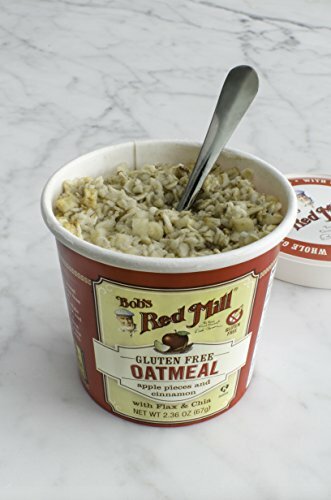 Flax and chia seeds provide a boost of energy and antioxidants, while three of our favorite gluten free oatmeal’s come together for a creamy and delightful texture. 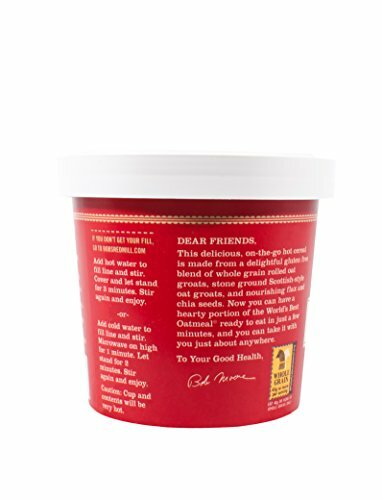 You’ll find 8g of dietary fiber in each cup along with 60 percent of your daily value of iron and the 7g of protein will keep hunger away, all with only 11g of sugar. This cup features the prides of Oregon, our home state: blueberries and hazelnuts. 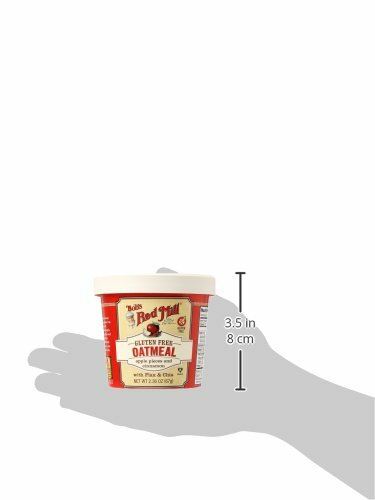 Try all four oatmeal cup flavors: apple cinnamon, blueberry hazelnut, brown sugar and maple, and classic. 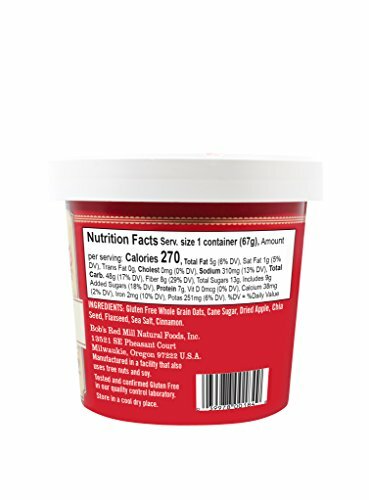 Like all of our gluten free-labeled products, this product is processed in a dedicated gluten free facility and is r5-elisa tested to confirm its gluten free status.One, 2.36 oz. Cup.